I enjoy veal. The flavor is so delicious and it's versatility, one you don't get with a mature cow, is quite a benefit. 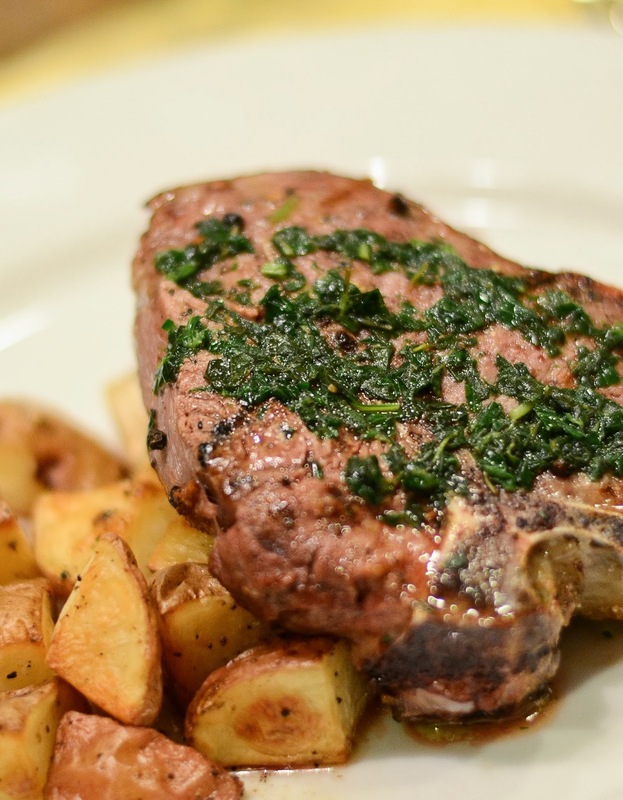 One of my favorite dishes is a grilled veal chop with herb butter. This type of veal cut, like beef, should be at room temperature before you cook it. That way you can cook it perfectly medium rare, as it should be, in my personal opinion (law), be served. Preheat a grill to high. Generously salt and pepper the veal chop on both sides. Place chop on grill and cook for 3 minutes. Turn the chop over and cook an additional 3 minutes. Rotate the chop, turn and cook for 3 minutes. Repeat. Total cooking time should be between 12-15 minutes for a perfect medium rare. Mix the butter with the herbs. Add 1 tsp. salt and 1/2 tsp. freshly ground pepper, mixing again. Top with one tablespoon scoop of the herb butter as soon as you remove it from the grill, allowing the veal chop to rest and the butter to melt.